Despite the stereotypes, I am not a woman who loves shopping. In fact, I pretty much despise shopping, and that was true long before running errands involved dragging five kids through the store! I don’t mind heading to the mall to browse with my mom and sister a couple times a year, but looking for specific items makes me crazy, especially if it involves having to stop at more than one store. Add to that our distance from “town” (about 30-45 minutes), and it’s probably not surprising that I do as much of our shopping as possible online. If I could do it all that way, I would! We use Amazon for a lot of our purchases, both for convenience and saving, but the strategy that saves us the most money is the Subscribe & Save program. Because we’re Prime members (hello, free 2-day shipping! ), we can save 15% off our Subscribe & Save orders each month, so we buy a lot of our household items this way. Other months, my Subscribe & Save order might include diapers and wipes, toilet paper or paper towels, coconut sugar or coconut oil, various teas, organic and fair-trade baking ingredients, and so on. This month didn’t include a lot of bulk products, but many of the things I buy are huge packages that last for several months, so my order changes every month. By the way, my mom shares hot Subscribe & Save deals every day at our Amazon deal blog, Jungle Deals & Steals! While I love Amazon’s Subscribe & Save program, one thing it doesn’t offer is a lot of single-count products from brands like Mrs. Meyers or Method. 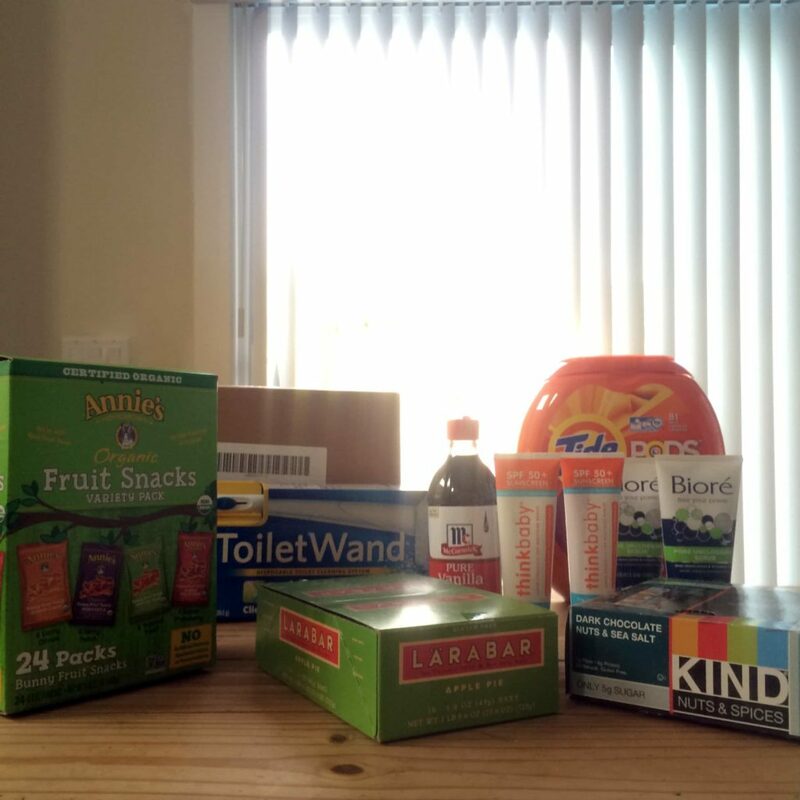 I first tried out ePantry several months ago, and I’ve been hooked every since for regular deliveries of these products at an affordable price. *We keep trying natural laundry detergents in the hopes of finding one that works with our well water and that my husband likes, which is why I ordered both Tide from Amazon and this laundry detergent this month! I also get Mrs. Meyer’s dish soap, foaming hand soap, multi-surface spray and tub & tile cleaner (all in Lemon Verbena), Gillette razor refills, toothpaste, and Seventh Generation paper products, depending on what I need in any given month. Save $10 off your first order when you click through this link! 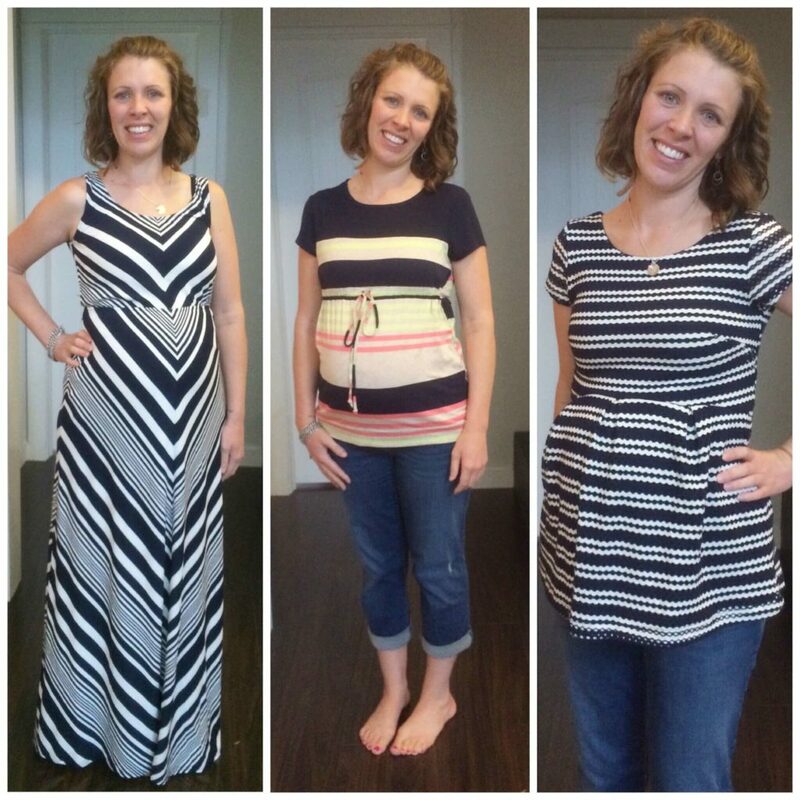 I’ve been raving about StitchFix lately because it’s become one of my very favorite things! I was almost giddy waiting for my fix this month, and it’s always so fun to open it up and see what’s inside. And I’m really loving their maternity selection, as shown above! Although opinions were split on Facebook and Instagram, I ended up keeping the chevron dress ($88) and the navy/white shirt ($68). My husband just wasn’t a fan of the bow on the middle shirt, and I love both the eyelet material and the scoop back of the one on the right. I had some credit so that I didn’t have to pay for both completely out of pocket, but the thing I’m finding with my StitchFix clothes is that I wear them and enjoy them more than the $15 shirts I buy at Old Navy anyway, so I am willing to pay more per piece. Click here to complete your style profile and schedule your first fix! I have a love-hate relationship with Twice. It can be completely overwhelming to sort through their stock of clothes to find ones you might like, but I’ve had some really good finds. And their return process is super straightforward and easy when you get a dud. This month, I’ve been on the hunt for a summery purse that can hold a couple diapers for Jackson, my MacBook, wallet and a few snacks, and while the Kenneth Cole purse wasn’t exactly what I was looking for, I decide it was close enough. I couldn’t help but add the American Eagle tote to use as a pool bag, and that one is just perfect. I’ve also been looking to replace my very old, worn Gap flip-flops/sandals. The Banana Republic ones ended up being too small (maybe just because I’m pregnant, but I’m going to send them back anyway) and the Bamboo sandals were cheap enough that I’m going to keep them even though they weren’t exactly what I was looking for. I have a ton of Twice credit from referrals and selling clothes, so all of these were basically free, which makes shopping that much more fun! Click here to get $10 toward your first order! 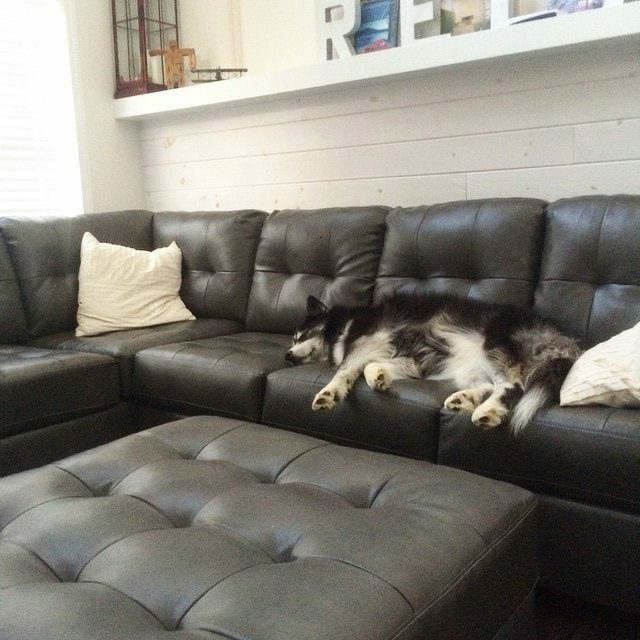 This month marked a new experience for us as we ordered furniture online for the first time! Most of the furniture in our home is from Ikea, and we’ve started feeling like it’s time to upgrade and become real adults (ha! ), so Sean spent a ton of time looking at both couches and bed frames to decide what we wanted. We actually stopped by quite a few furniture stores before realizing that we could get the exact same furniture via a dropship company like Coleman Furniture…at half the price. 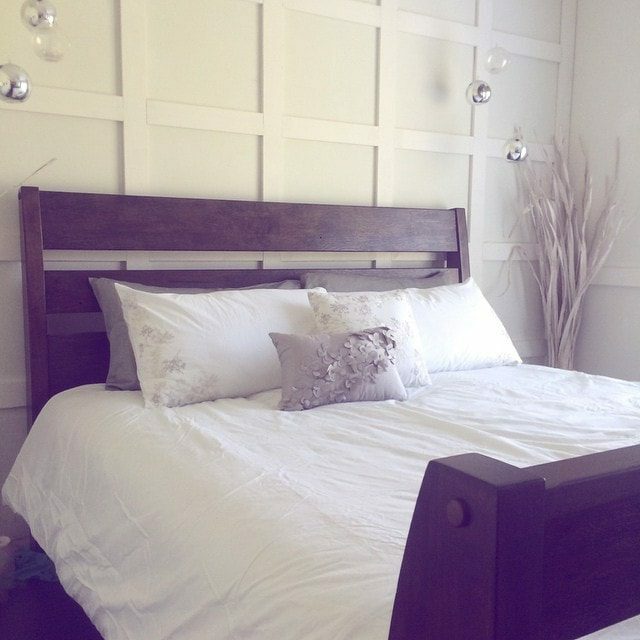 And so we ordered both our couch and bed frame from there at the beginning of the month, and we couldn’t be happier with them! Thank you for the tip on “Twice”. I have a stash of “pretty” clothes in my closet that I haven’t been able to wear since I was pregnant with my first baby. (2011) I’ve been reluctant to part with them, because I keep hoping to lose weight. But I’ve recently gotten pregnant again, and I know it’ll be YEARS before I’ll ever be able to wear it all again. So, I’m finally letting go, and planning to sell it. I’m too busy to have time to consign it anywhere locally. But I’m pretty sure I could make some money on my stash via Twice. So I’m really excited to see how this will work out. Thanks again! 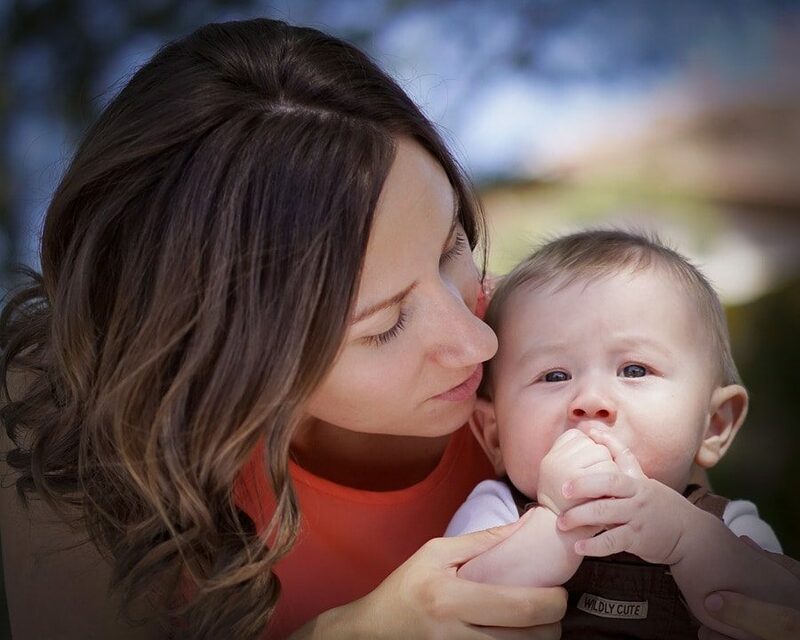 By the way, I’m a full-time working mom and my commute is about 2 hours total every day. So, I also love Amazon subscribe and save AND e-Pantry. Just a handful of things I don’t have to think about getting at the store. This is me! I hate shopping so much! I order monthly from Vitacost, ePantry, and Azure. I get almost all of the rest of our food, etc. from ALDI. I just got my first Stitch Fix, and I am in love! We have well water and have tried a lot of different enviro friendly detergents. Our favorites are Biokleen Sport for laundry and Ecover for dishes. I look for them to go on sale and stock up. I sometimes add vinegar to rinse cycle in the washing machine and put some in a little bowl that stays in the top rack of my dishwasher. That helps, too. I have wondered about ePantry. 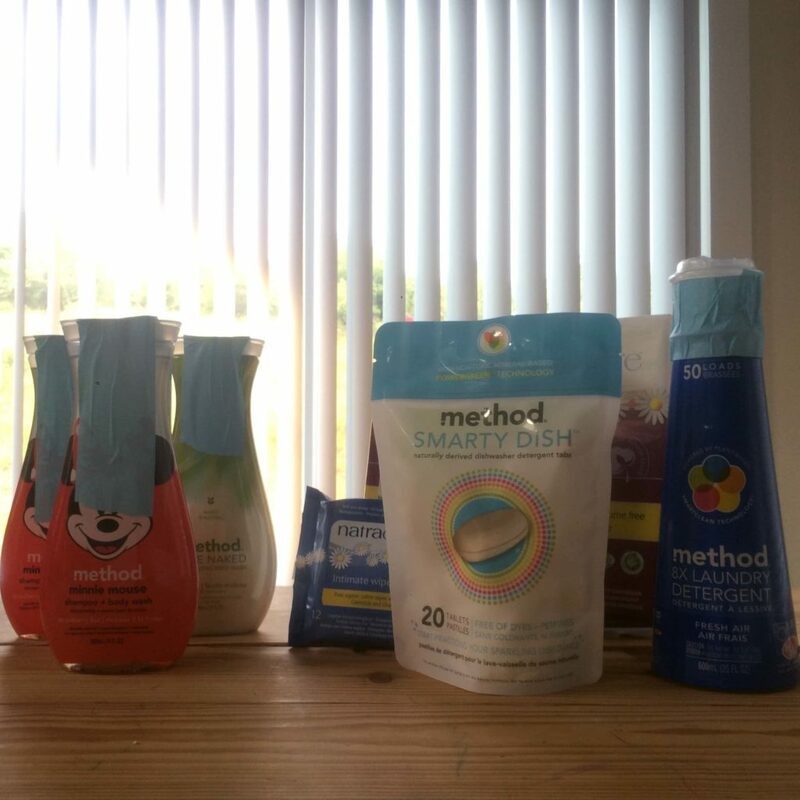 I like Method hand soaps and such. Might give it a try. I think you introduced me to Twice (via one of your posts last year) and I love the quality of clothes that I can get for thrift store prices…from the comfort of my home. 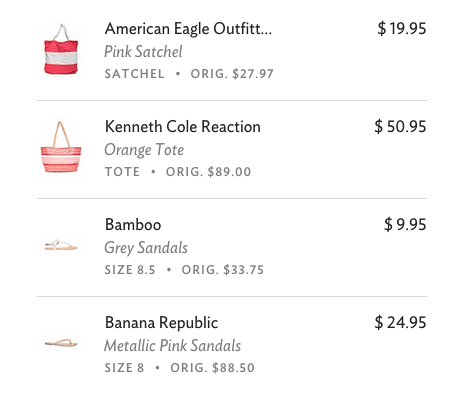 I’ve had a couple items to return, when sizes don’t match up, but the returns are easy. I love the quality and style of clothes I get from Twice! I really appreciated this breakdown. I like shopping, but I find that going into stores is a sure way to spend more on impulse purchases. I still add impulses to my cart on Amazon, but it’s really easy to save them for later and I rarely end up actually buying anything until it’s on my official “list.” We use Prime for many things, but their shipping for their pantry service didn’t inspire me to want to try it. I’ll look at ePantry because we also like the method products (and my attempts at DIY cleaners have so-far left my family less-than-excited). Twice sounds like fun too. I buy most of my clothes and shoes on-line already (once you know your favorite brands, it’s pretty easy) but adding the benefit of giving second-life to things and reducing the landfill is a win-win.